Small launch vehicle operators like Virgin Orbit tout the flexibility they offer for dedicated smallsat launches, but are also willing to work with rideshare aggregators. Credit: Virgin Orbit. MOUNTAIN VIEW, Calif. — Developers of small launch vehicles, who have promoted their vehicles as providing dedicated access to space for small satellites, say they’re also open to flying rideshare missions as they face competition from larger rockets. Spaceflight will be responsible for the entire payload integration process under the agreement. The company will receive a payload fairing from Vector, within which it will integrate a collection of smallsats before shipping it back to Vector to be installed on the Vector-R.
“This unique LSA demonstrates our belief in Vector’s potential and commitment to providing customers the most variety in launch vehicle access,” Melissa Wuerl, vice president of business development at Spaceflight, said in a statement. “We don’t see ourselves as becoming experts in the rideshare business,” said Jim Cantrell, chief executive of Vector, during a panel discussion at the SmallSat Symposium here Feb. 6. The complexity of that sector, he said, was one of the reasons why Vector decided to work with Spaceflight rather than try to aggregate payloads themselves. Vector is the second small launch startup that Spaceflight is working with. In June, the company announced an agreement with Rocket Lab to fly payloads on three Electron launches. Those launches were scheduled for late 2018 and early 2019, but have not taken place yet. Although a key selling point for small launch vehicles is that they provide dedicated access to space, including control over schedule and orbit, companies working on those vehicles said on the panel they’re open to working with Spaceflight and other aggregators. “There will be times when our customers will be integrators,” said Dan Hart, president and chief executive of Virgin Orbit, the company developing the LauncherOne air-launch system. That control, launch companies believe, is worth a price premium over rideshare missions on larger rockets, which offer a lower price per kilogram. “The size of a large launcher is such that the cost per kilo would theoretically be lower, except that it cannot have the same flexibility” as a small rocket, said Giulio Ranzo, chief executive of Avio, which builds the Vega rocket. Rideshares on large launch vehicles remain attractive to many customers who are sensitive to price. Spaceflight purchased a SpaceX Falcon 9 that, in December, launched 64 satellites for a variety of customers. The success of that mission has led SpaceX to consider doing more such rideshare missions in the future. SpaceX has the advantage of flying its Falcon 9 on a regular basis while, on the panel of small launch vehicle developers, only one, Avio, had an operational vehicle. 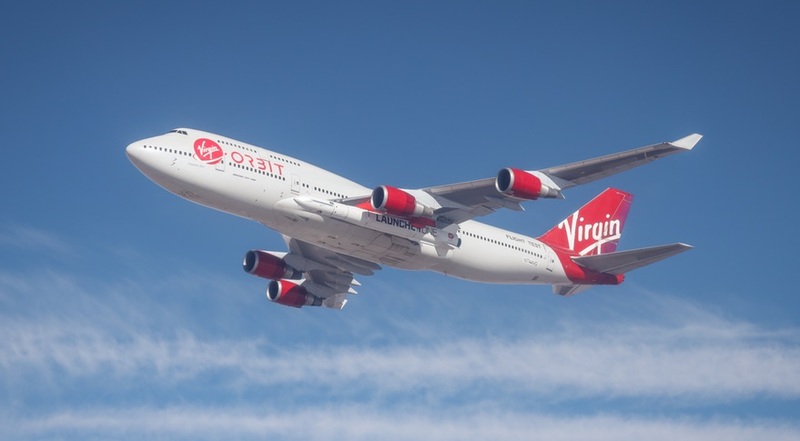 Virgin Orbit’s Hart said he expects to begin commercial LauncherOne operations in the middle of this year, with launches following initially every two to three months before ramping up its launch rate.